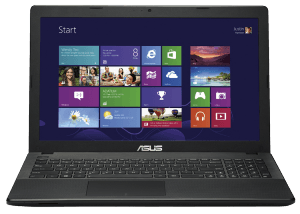 The Asus X551MAV-EB01-B(S) 15.6-inch Notebook is another budget laptop that many seem to give a mixed results of reviews. When purchasing a budget laptop you must keep in mind that sometimes you get what you pay for. This is not a gaming laptop, so if you’re also looking for a laptop that supports major gaming you may want to consider another because the heat generated in prolonged play ends up eventually damaging your processor. If you already have a desktop at home and won’t need to rely on this Asus as a daily workhorse, then this Asus X551MAV just may for your needs. 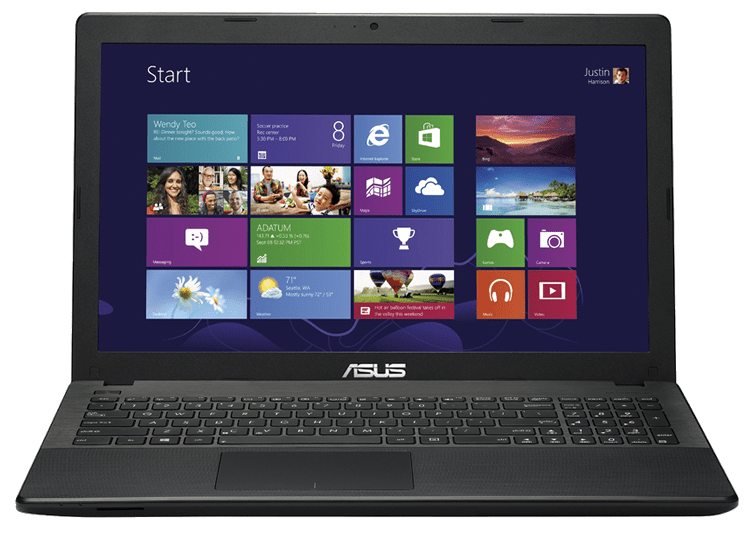 Selling for a mere $249.00 your Asus will come equipped with 15.6-inch screen and Intel Celeron 2.16 GHz, 4GB of RAM, a 500GB Hard Drive, Intel HD Graphics with Windows 8.1, that is upgradable to Windows 10. 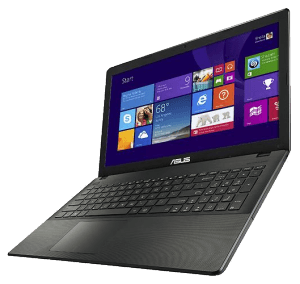 This Asus is designed for basic computing needs. It is great for browsing the web, watching videos in HD, listening to music or working in Word and Excel. It’s especially good for getting schoolwork done. Most customers use this for college. The 15.6-inch display is not touchscreen supported but the trackpad does support multiple finger smart gestures such as left and right screen swipe and pinch to zoom features. This trackpad is optimized for Windows 8.1. One issue with the trackpad is that the left and right clicks are a little hard to press. This screen is bright with decent contrast and supports up to 1366 x 768 resolution which is similar to all other laptops that are in the same price range. It also comes with a built-in webcam so you can Skype or video conference with your friends and family. The weight of this laptop is 4.7 pounds which makes it easy to carry around and for a 15.6-inch screen it’s very thin measuring in at 1.2-inches which is thinner than most laptops out there. Unfortunately the average battery life is only about 5 hours, which is ok, but certainly nothing special. Another thing is the Asus X551MAV does not come with an optical/DVD drive. However external drives are cheap enough to add for a fractional cost. The Asus comes standard with one USB 3.0 port and two USB 2.0 ports, an HDMI, VGA and Ethernet ports. This big plus is the USB 3.0 USB port which is 10 times than the 2.0 ports. This makes transferring larger files from devices like digital cameras that much easier and faster. Asus also decided to add a SD card reader so you can transfer files directly from an SD card as well. Mentioning a couple of cons, we must address that the laptop does not come equipped with Bluetooth capability. Also the CAPS Lock and Num Lock do not have light notification. However when we talk about the biggest con about this laptop we have to address that the battery is internal so you have to disassemble the laptop to replace it. On That note, anything that needs to be replaced or upgraded must be done so by completely removing the laptop’s bottom plate. Overall this Asus X551MAV(S) is a decent choice when buying a laptop for the average user who doesn’t play too many games or need to do much in terms of photo and video editing. Basically this laptop has mostly positive features such as being very thin and light and has a pretty good screen. It’s great for getting work done like word processing and spreadsheets, and as mentioned it is a fairly solid choice for those using it as a college device. Arguably the positive features outweigh the negatives and for a budget laptop, generally speaking, it ticks all the boxes for everyday average computing. 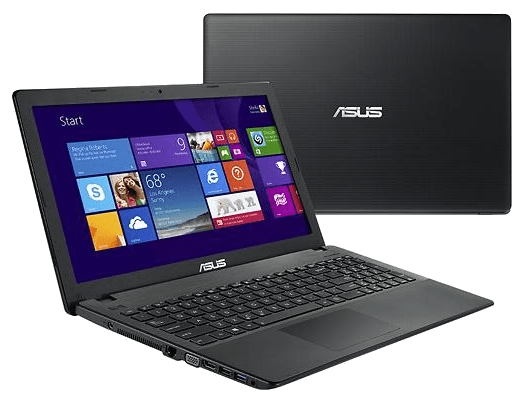 Looking to sell your Asus laptop? SellBroke.com offers cash for used and broken laptops, tablets , smartphones and other electronics.